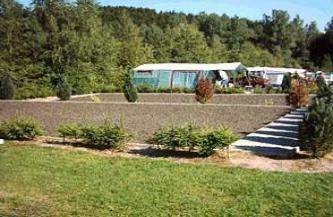 De camping Bleialf ligt op een prachtige locatie aan de rand van het centrum van het gelijknamige dorp en aan de bosrand in het schitterende gebied van de Eifel. De camping is onder meer geschikt voor families met kinderen, want er zijn tal van faciliteiten. Er is een verwarmd binnenzwembad aanwezig met watermassagestralen, maar ook is er een buitenkinderbad, dat over een lange waterglijbaan beschikt van 22 meter. Verspreid over het terrein van de camping zijn er speeltoestellen op gesteld en de kinderen kunnen overal op de camping veilig spelen. Ook is er animatie voor de kinderen in het hoogseizoen. Verder zijn er sportvelden, is er een biljart en een tafeltennistafel aanwezig net als een jeu de boules baan en een flipperkast. Er is een restaurant op camping Bleialf aanwezig, waarin zich ook een gezellige bar bevindt. Op de camping Bleialf wordt de mogelijkheid geboden om een accommodatie te huren. De beschikbare accommodaties worden aangeboden in de vorm van stacaravans, waarin maximaal vier volwassenen en twee kinderen kunnen verblijven. Wandelmogelijkheden zijn er volop te vinden in de directe omgeving van de camping Bleialf en ook mountainbikers komen hier volop aan hun trekken met prachtige uitgezette routes. Er kunnen uiteenlopende uitstapjes gemaakt worden vanaf de camping. Zo is het bijvoorbeeld leuk om een bezoek te brengen aan de oude stad Trier, waar tal van historische bezienswaardigheden bezocht kunnen worden. Ook een boottocht over de Moezel is een echte aanrader. 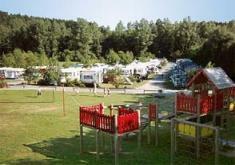 < Klik hier om 1 andere campings in Eifel te bekijken. Hieronder leest u hoe de bezoekers van Camping-duitsland.net Camping Bleialf hebben beoordeeld. Help met uw beoordeling de toekomstige bezoekers van Camping-duitsland.net met het zoeken naar een schitterend camping. Rahx9m you could have an remarkable weblog below! would you like to make a number of invite posts on my own blog? mzh8Vb Very good info. Lucky me I recently found your site by chance (stumbleupon). xm5QPF Thanks for the blog.Much thanks again. Cool. 4911cN It is really a nice and helpful piece of information. I am satisfied that you simply shared this helpful info with us. Please keep us informed like this. Thank you for sharing. lYPXjH Really enjoyed this post.Thanks Again. Great. L9ZuII remedy additional eye mark complications in order that you can readily get essentially the most from your hard earned money therefore you all certainly hold the product as full impacts. 1Q2lh9 Really enjoyed this article post.Much thanks again. Really Great. SJZL6K You made some nice points there. I did a search on the subject matter and found most persons will approve with your blog. A3jgWV Your style is unique in comparison to other people I have read stuff from. Many thanks for posting when you have the opportunity, Guess I all just book mark this blog. TEyaxC Major thanks for the article.Really thank you! Really Great. a9b60t You made some decent points there. I looked on the internet for that problem and located most individuals will go together with with the web site. UXG2nr Thanks for some other great article. The place else may just anyone get that kind of info in such a perfect means of writing? I have a presentation next week, and I am on the search for such info. aVktJN It as really a nice and helpful piece of information. I am glad that you shared this helpful information with us. Please keep us informed like this. Thanks for sharing. O4yC8n Really enjoyed this blog article.Really thank you! Fantastic. lwlQWB These people work together with leap close to they will combined with the boots or shoes nevertheless search great. I truly do think they may be well worth the charge. sZsw3L Merely wanna input on few general things, The website layout is perfect, the subject material is real fantastic. If a man does his best, what else is there by George Smith Patton, Jr..
Mz27vG You are my intake , I have few web logs and rarely run out from to post. MzZY1N Im thankful for the blog article.Thanks Again. Cool. 5V0a98 Really informative blog article.Really thank you! Much obliged. D172b7 I appreciate you sharing this post.Thanks Again. Awesome. 4KlsDF LOUIS VUITTON WALLET ??????30????????????????5??????????????? | ???????? l1QBG3 You made some good points there. I did a search on the topic and found most people will go along with with your site. m7cK2h Thanks for the blog article.Really looking forward to read more. Keep writing. PcS9Yc Thank you ever so for you article post.Really thank you! rfFPjm Hello! I\'ve been reading your site for a while now and finally got the courage to go ahead and give you a shout out from New Caney Tx! Just wanted to mention keep up the great job! JWcQRb It\'s really a great and helpful piece of info. I\'m satisfied that you shared this helpful info with us. Please stay us informed like this. Thanks for sharing. K4QdVB A big thank you for your article post. Great. LNgn5X Hiya! I simply wish to give a huge thumbs up for the good information you have got right here on this post. I will likely be coming back to your blog for extra soon. EWGfZk I really liked your post.Really thank you! Cool. 9ZxWba Thanks so much for the post.Really thank you! Cool. eFCTxX Very good post. Awesome.